Hey everyone, and happy new year! Thanks for stopping by on what I can only describe as the beginning of a very exciting month of celebrations for Winnie & Walter’s first birthday! Woohoo! And, it all kicks off with a different birthday challenge set by each member of the DT. 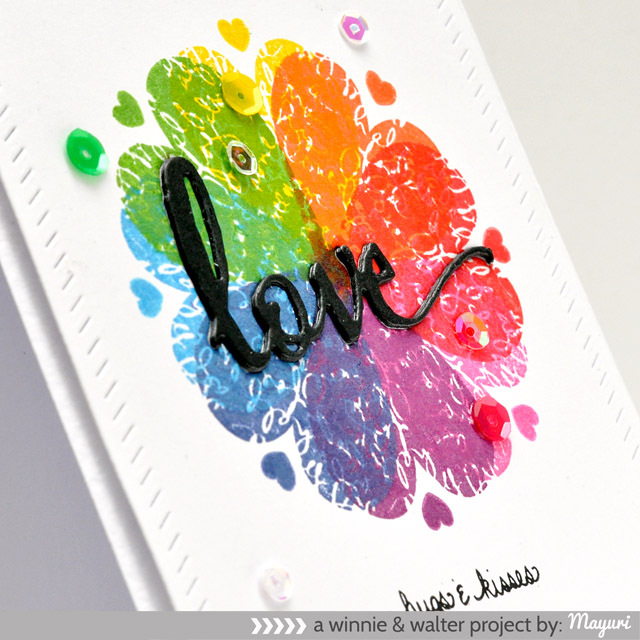 I began by stamping the large heart image from the You’ve Got Love Mail set onto a cardstock panel repeatedly in the following Distress Inks: Mustard Seed, Ripe Persimmon, Festive Berries, Picked Raspberry, Seedless Preserves, Chipped Sapphire, Salty Ocean and Mowed Lawn. I find that this combination of colours gives you a beautiful rainbow effect every time! I also stamped the tiny heart image from the same set around the pattern for a more fuller effect. 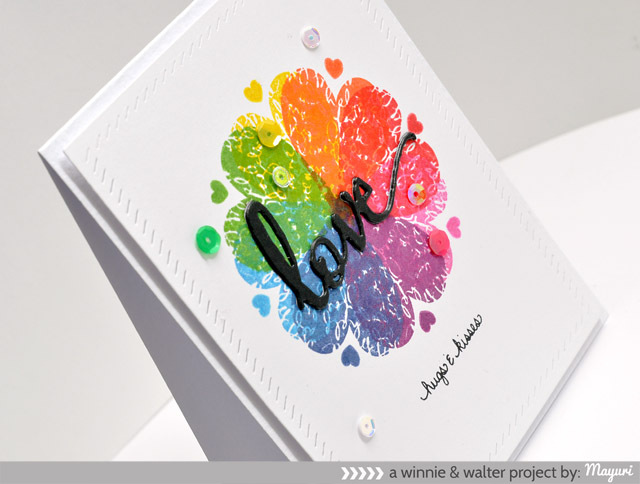 I hope you’ll play along with this challenge and all the other ones set by the rest of the DT – you’ll find more details over at the Winnie & Walter blog – you’ll need to use at least one Winnie & Walter product. 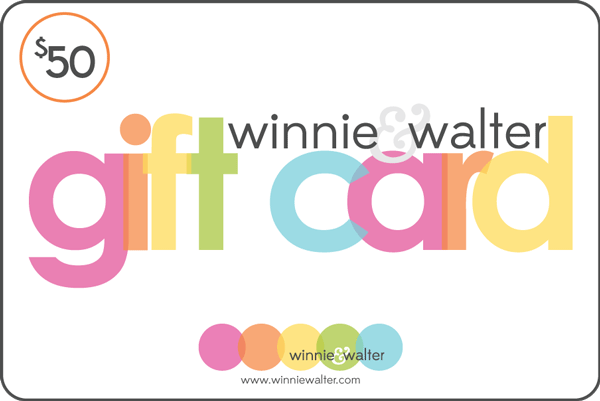 Winners of each challenge will be chosen randomly by Winnie & Walter. If you wish to be considered for the April Guest Star spot, you will need to do at least four of the challenges with four different projects, with a clear focus on w&w products. The winner of the April Guest Star spot will *not* be random. So "you". Love your use of sequins. Hope to join in on the birthday fun. GORGEOUS inking and DELIGHTFUL card Mayuri!!! 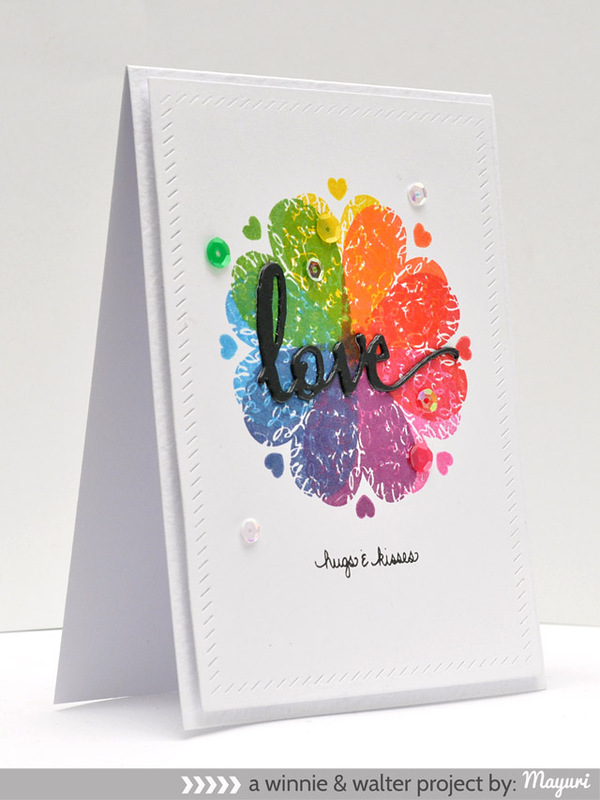 Bright n colorful ,Beautiful card ! Wow !! 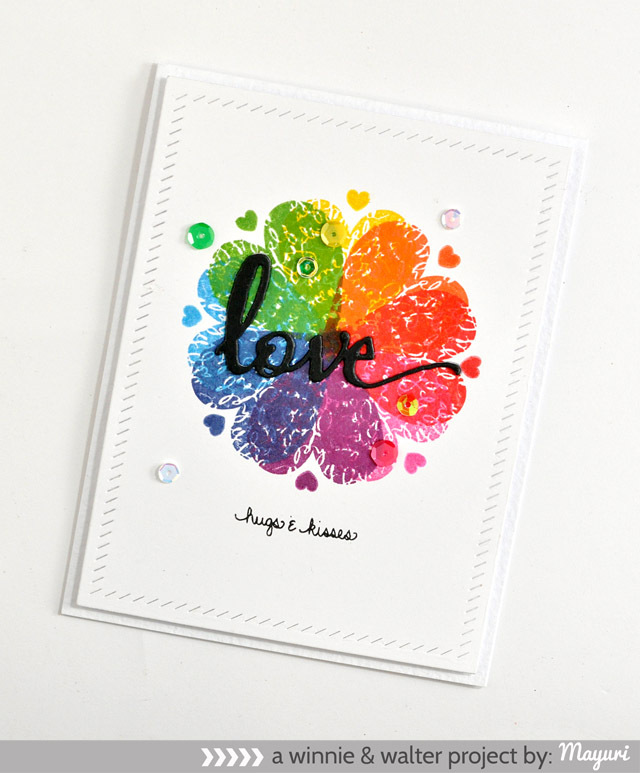 your card is beautiful i love your play with shapes and distress inks the result are just so fabulous ! !